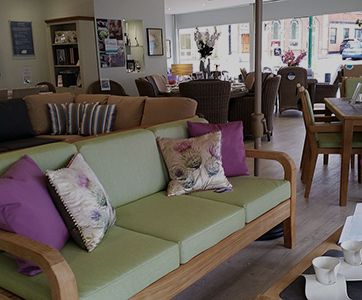 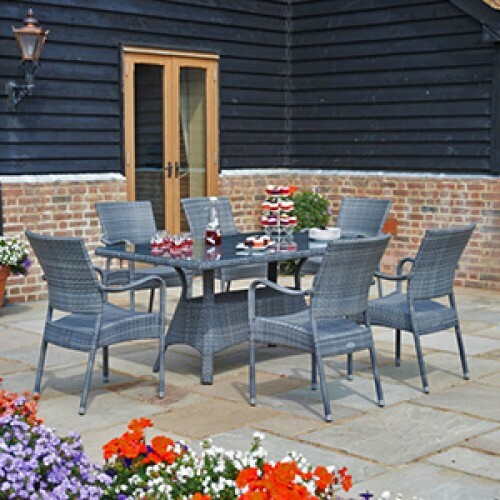 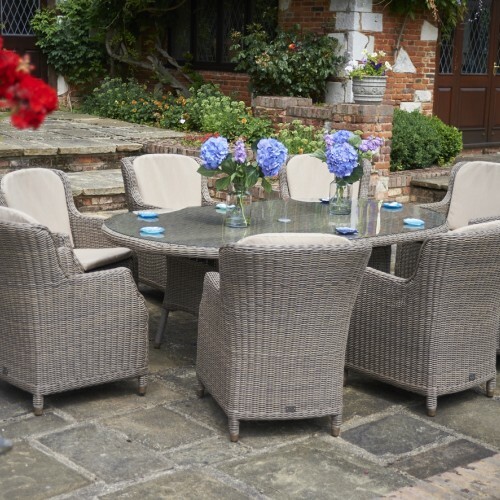 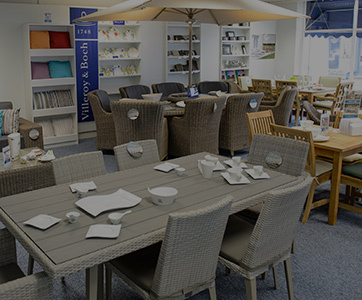 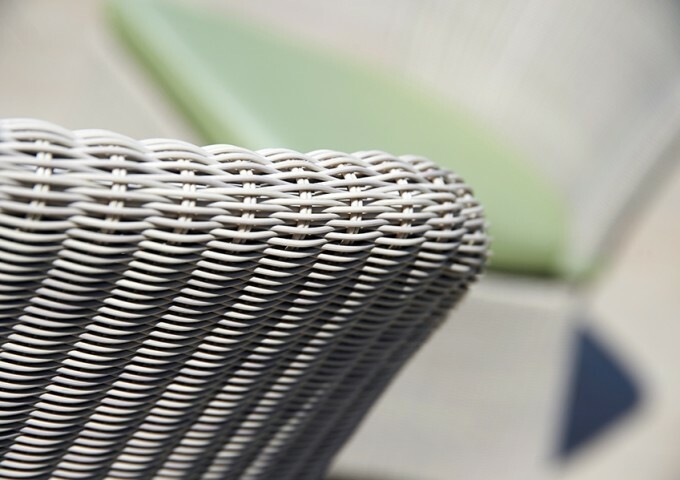 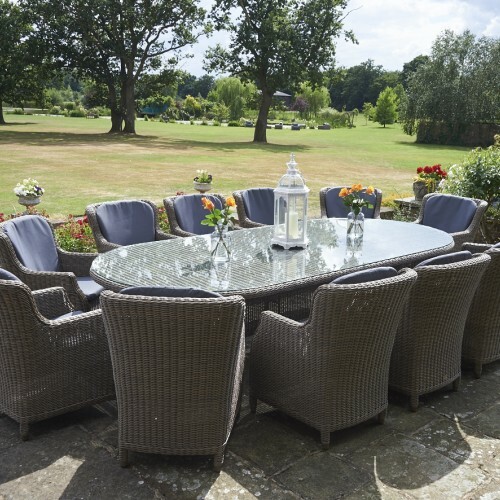 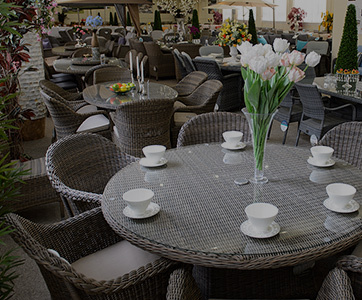 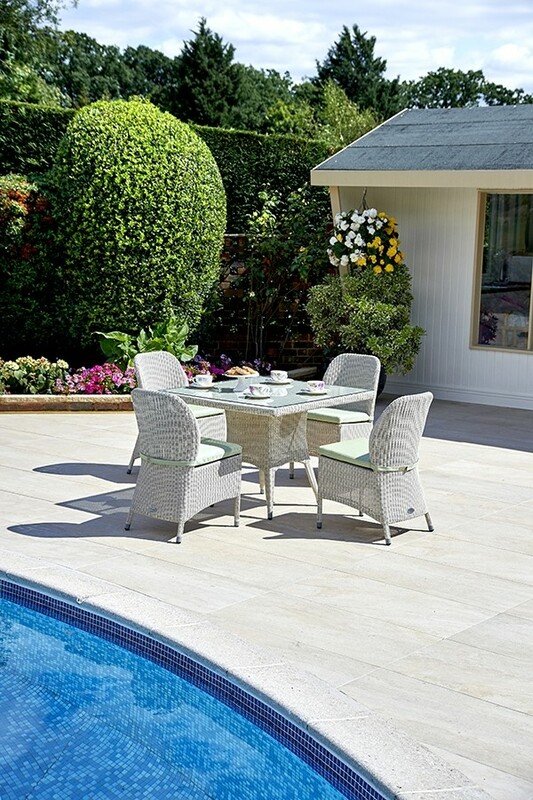 A small yet quality set from our exclusive All Seasons range, this furniture is best suited to smaller patios, balconies and decked areas, and is particularly suitable for quality outdoor dining establishments. 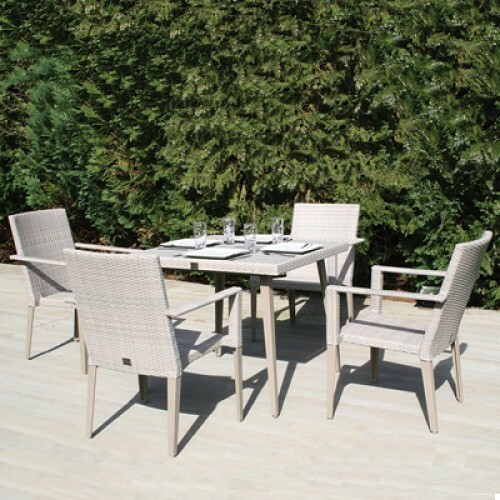 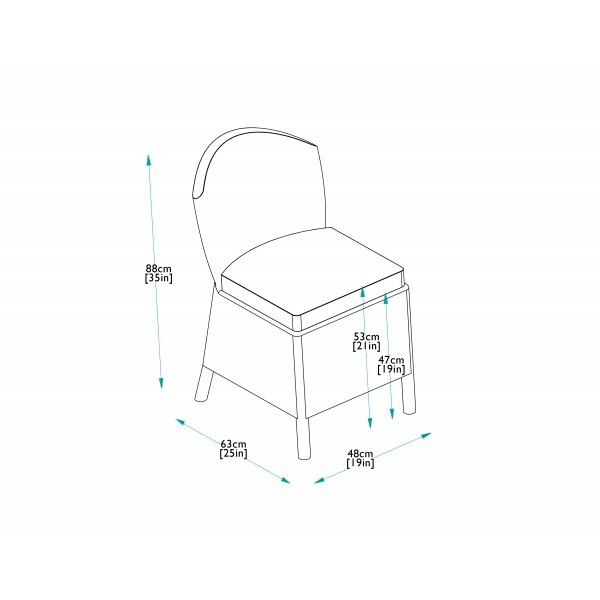 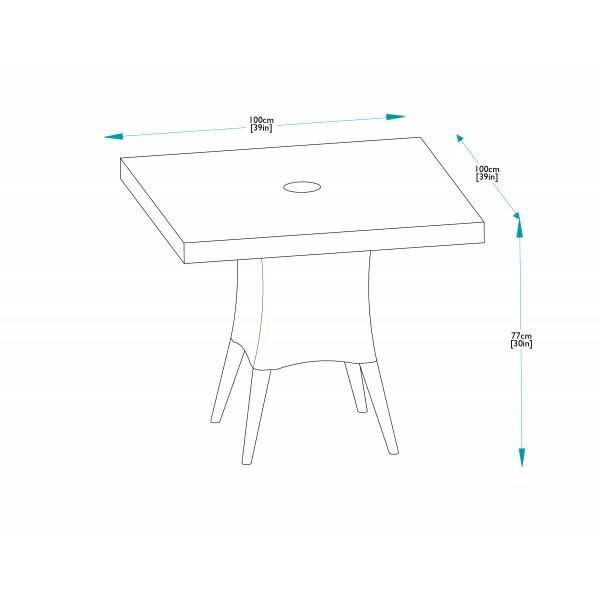 The elegant dining chairs combine neatly with the dining table and are really very comfortable indeed. 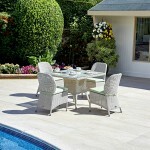 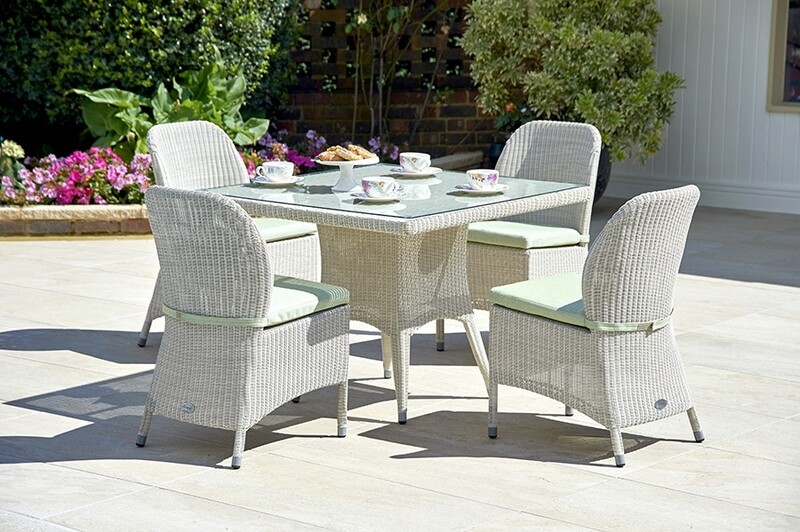 There is a choice of standard Black or bright Lime Green cushions that totally bring this lovely garden set to life. 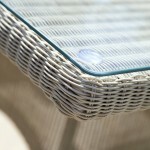 Alternatively upgrade to fully waterproof pistachio cushions that can remain outside in the rain. 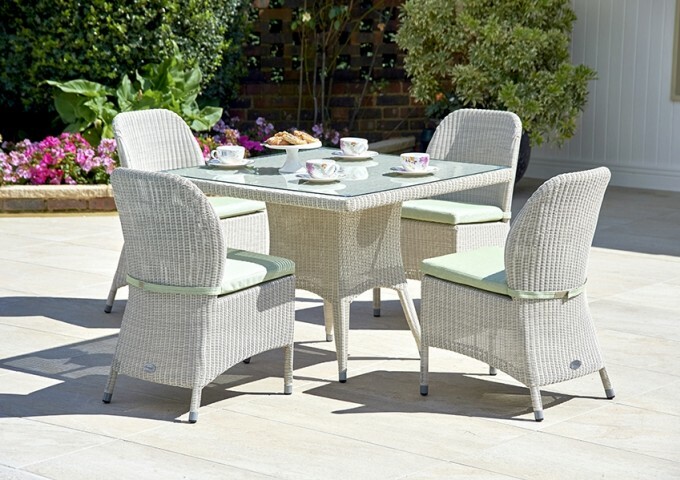 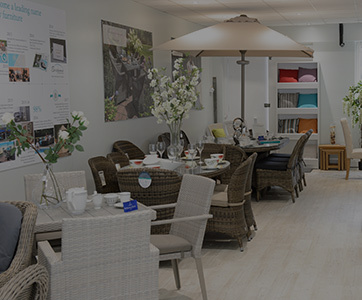 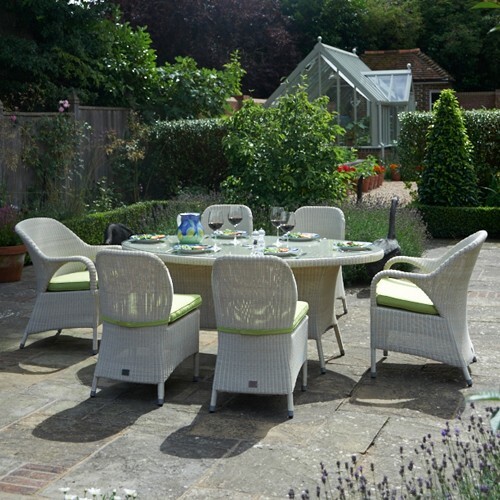 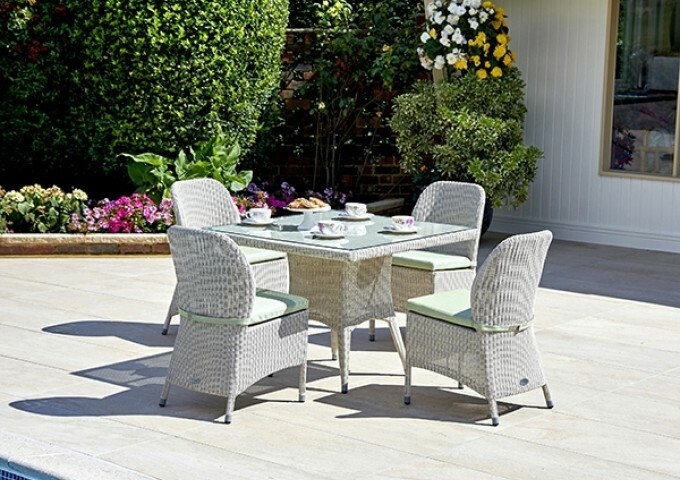 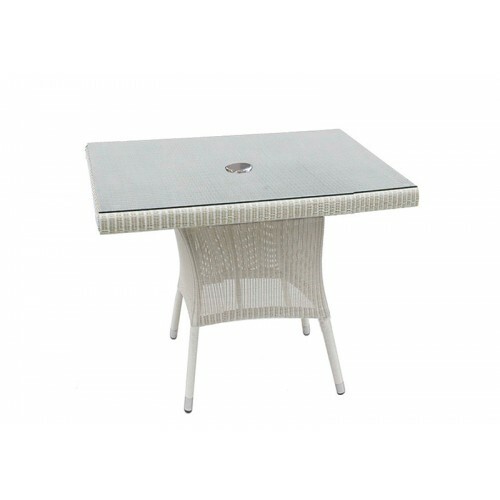 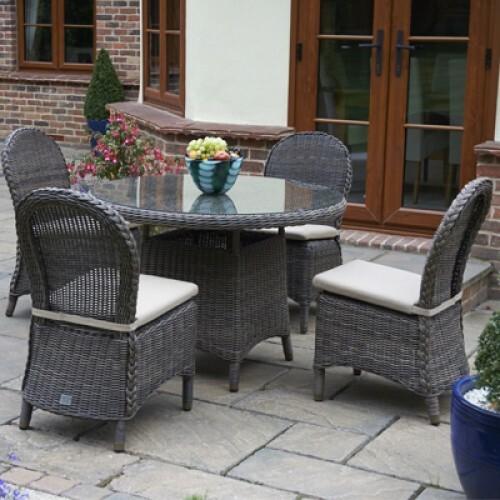 Manufactured with aluminium frames and finished with a superb soft white rattan wicker that is fully weatherproof, the set is made up of one 100cm Square Table and four Sussex Dining Chairs, complete with seat cushions. 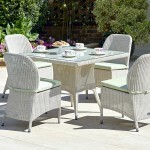 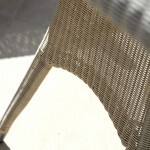 The furniture can remain outside all year round without any problems and only needs an occasional clean. 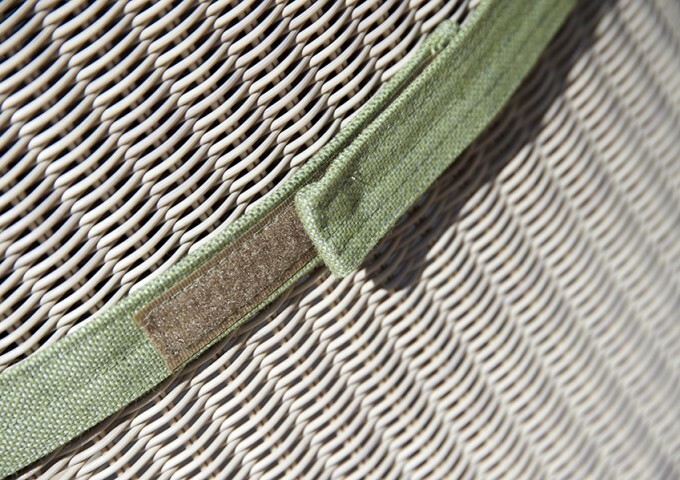 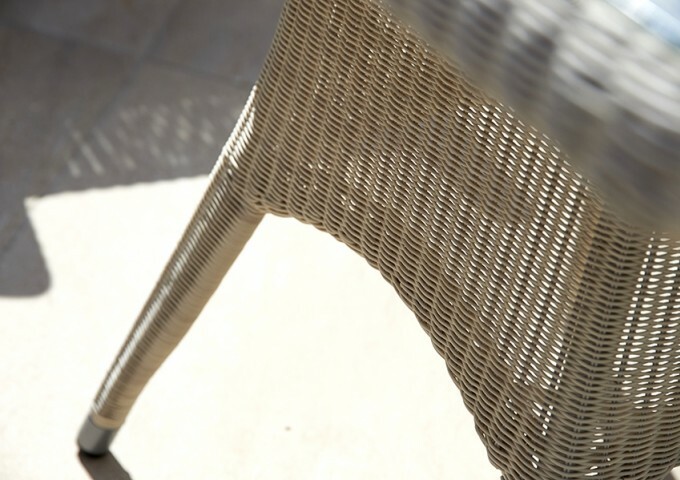 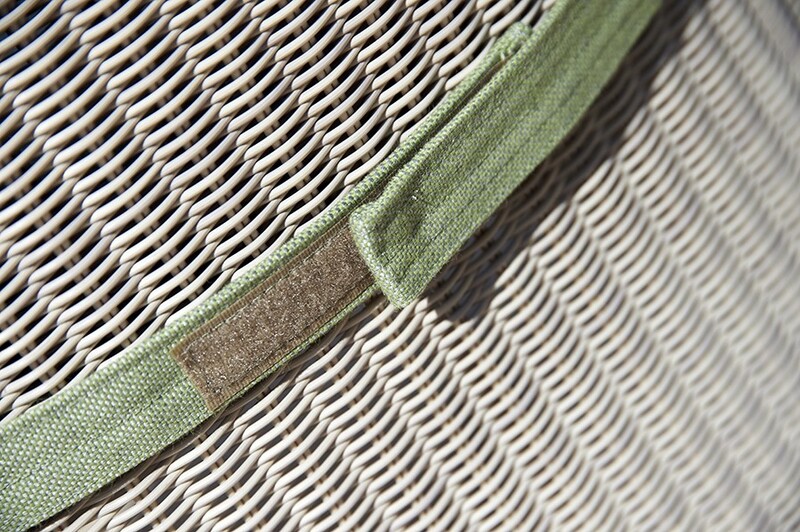 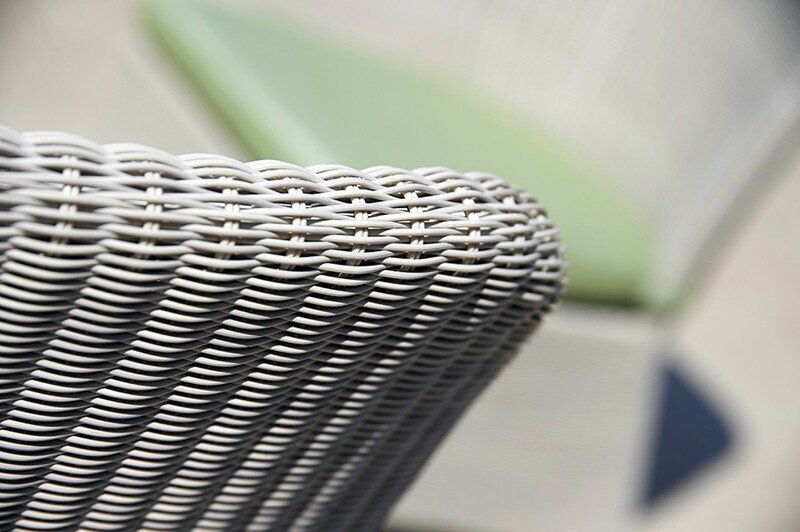 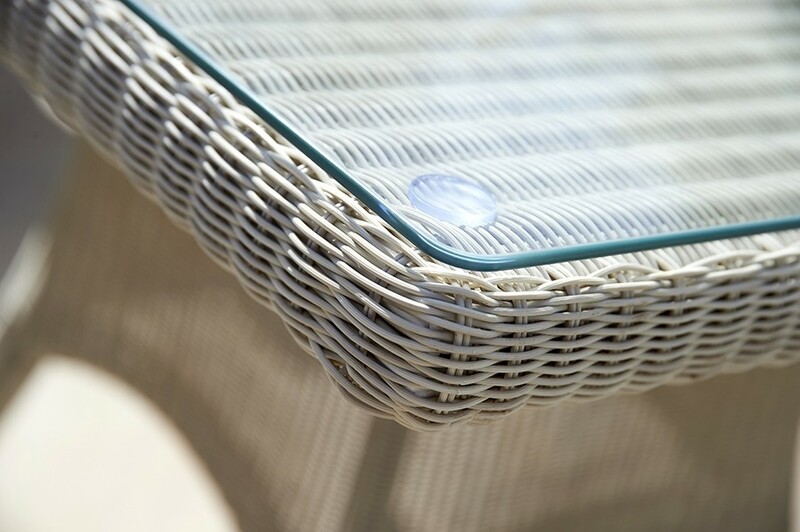 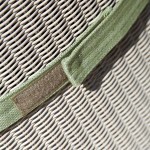 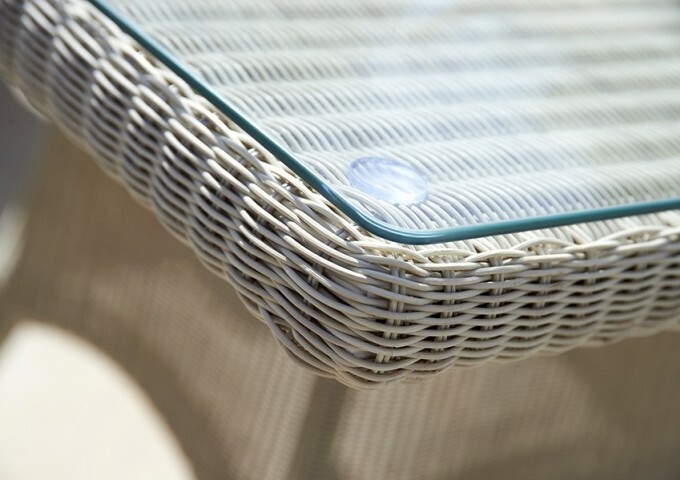 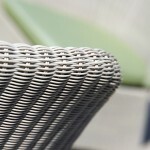 The furniture will not fade or deteriorate over time, with the rattan weave having been tested to withstand -70°C to +80°C. 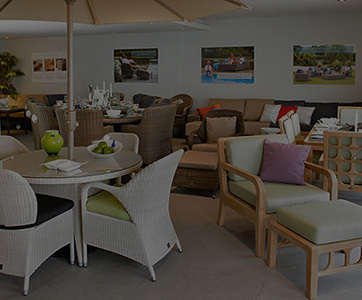 It is advisable, if selected, to take the standard cushions should in during wet weather.